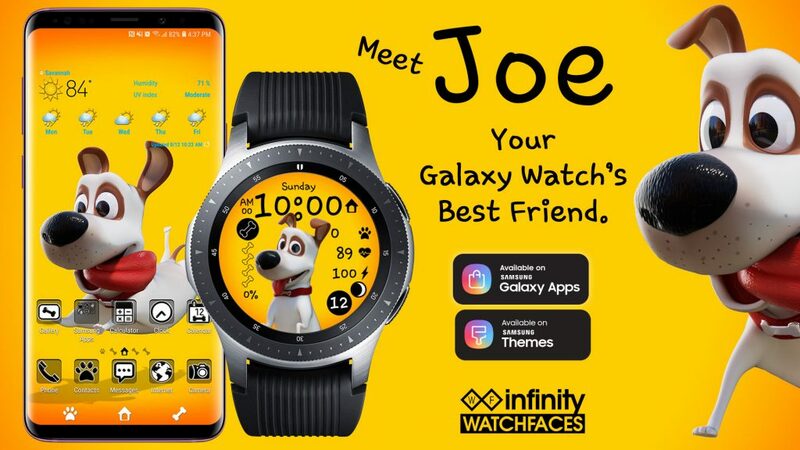 Meet Joe – your Galaxy Watch’s best friend. See Joe sit, stand, walk, and run according to your step goal percentage. In the morning you will wake up to Joe sitting up, begging for you to get moving. At 2% step goal he stands up. At 10% he starts walking, then breaks into a run at 20%. Joe might take a little break between 50-55%, then runs until midnight. Tap the DOG HOUSE next to the time to change gyroscope powered styles!